Flo Hyman was a professional volleyball player who grew up in Inglewood, California. She was a volleyball player for most of her life, playing at Morningside High School and later at the University of Houston. She left college before graduating to join the U.S. national volleyball team in 1977. Flo spent almost 10 years playing volleyball at the highest level. The American team qualified for the 1980 Moscow Olympics, but the Games were boycotted by the American athletes. She would go on to win a silver medal in the 1984 Los Angeles Olympics. After those Olympic Games, Flo moved to Japan, where she played for the professional Daiei team. 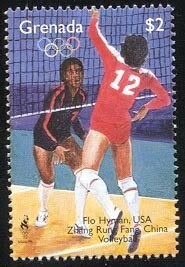 Flo died on January 24, 1986 during a volleyball game. She was sitting on the bench, shortly after substituting out, and collapsed suddenly. At first her death was attributed to a heart attack, but an autopsy later showed that she died of aortic dissection that resulted from an undiagnosed condition known as Marfan syndrome. Marfan syndrome is a rare genetic disorder that affects approximately 1 per 10,000 individuals. The disorder is inherited in autosomal dominant fashion, meaning that you can inherit the disorder from either parent. The defect is in the fibrillin-1 (FBN1) gene that is carried on chromosome 15. The disorder causes abnormalities in the connective tissues of the body, affecting the skeleton, the eyes, and, most importantly, the cardiovascular system. Famous people in history who are thought to have had Marfan syndrome include Julius Caesar, Abraham Lincoln, and Sergei Rachmaninoff, among others. Individuals with Marfan syndrome have a characteristic appearance, with tall slender stature, long limbs, long fingers, abnormal eye lenses, and sometimes a funnel chest. Indeed, Flo Hyman was 6’ 5” tall when she died, but she had reached the height of 6’ by her 12th birthday. The diagnosis is usually established by these clinical features and a family history of the disease, but genetic testing is now available, if needed, to confirm the diagnosis. There is no cure for this disorder, per se, but with careful medical attention, serious (and potentially life-threatening) complications can be avoided. For athletes, the problem lies in the cardiovascular features of the syndrome. A variety of problems are found in individuals with Marfan syndrome, including mitral valve prolapse (abnormal closing of the mitral valve), leaking heart valves (aortic valve, mitral valve, tricuspid valve), and arrhythmias. The most important cardiovascular complications with Marfan syndrome are the development of aortic aneurysm (enlargement of the aorta anywhere along its length) and dissection of the aorta (sudden tearing apart of the layers of the aorta, usually associated with high blood pressure). Aortic dissection that occurs suddenly is often fatal before proper medical attention can be obtained. The two sports where Marfan syndrome is typically found are basketball and volleyball, just by the nature of the disorder being found in unusually tall individuals. But, of course, the syndrome could be present in an athlete competing in any sport. Athletes with the clinical features of Marfan syndrome should be screened for the disorder. Those who are found to have Marfan syndrome will need to work closely with their physician and/or cardiologist to determine whether continued participation is prudent. Affected athletes should have the blood pressure controlled carefully because we know that uncontrolled high blood pressure increases the risk for aortic dissection. 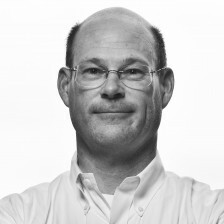 These athletes should also be monitored closely for the development of problems with the heart valves and for the development of aortic aneurysm. I still miss her. She was a terrific athlete and a joy to watch on the volleyball court.